One of the great parts of living in the Charlotte, NC area is the natural beauty our area offers. Mature trees offer shade in summer and can even help in reducing utility bills by helping keep our homes cool. Unfortunately though sometimes these “natural beauties” turn into large liabilities and can cause extensive tree damage to our homes when they fall during heavy wind or rain storms. The wind storms that hit Charlotte, NC on February 24 caused substantial wind and tree damage in the southern part of the city. Our initial call came in Wednesday night around 7PM from a homeowner on Halstead Dr. A large pine had fallen on his home during the wind storm and was still sitting on the house when we arrived. The Charlotte Fire Department had already been on scene to confirm that there were no power lines down or additional hazards that may make the home uninhabitable. The following morning Built Restoration was on site with Built Certified Vendor Caulder Tree Service and had the tree removed. The wind and tree damages to the home included roofing, framing, siding, and trim. 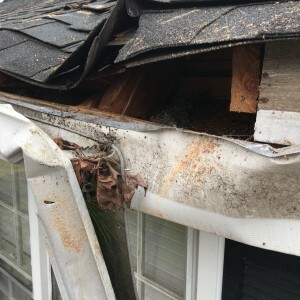 A detailed copy of the estimate for the repairs to this property will be included with this article as well as a video. The handling insurance company on this damage is Harleysville Insurance Company. The second tree down in the Charlotte, NC area was located approximately a half mile from the Halstead Dr. home and was located on Wensley Dr. Charlotte, NC. 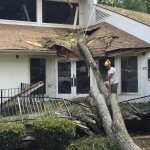 A massive oak tree had fallen during the storm and crushed the entire rear of the home into the living space. Fortunately no one (including the homeowners 8 week old infant) was injured. 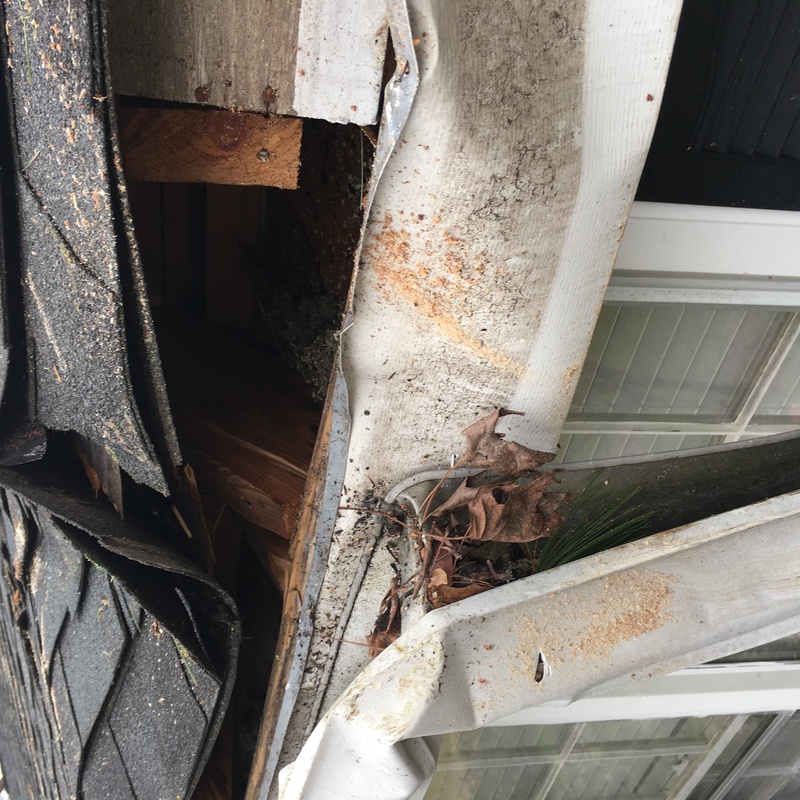 Wind and tree damage to this home are still being evaluated and will require the assistance of a licensed engineer not only in determining damages but also the repair modifications and scope. Allstate Insurance Co. has sent out a large loss adjuster to begin preparing an estimate. Prevent this type of damage from the beginning. Have the trees on your property-especially those near the footprint of your home maintained and evaluated annually. 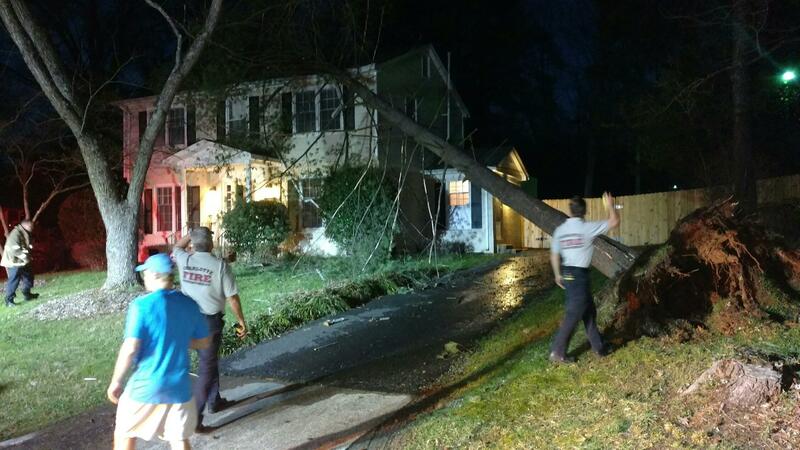 If a tree does fall on your home vacate the property immediately and contact the fire department. They will evaluate additional safety considerations and prevent any secondary damages to your home that could be caused. Tree removal from the structure will not be able to begin until weather permits. If possible try to tarp the impacted areas and reduce any additional or secondary damage. 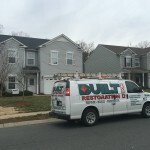 Contact Built Restoration www.builtrestoration.com immediately-we are a turn key general contractor and will handle the process from start to finish offering you a single point of contact through the entire repair process.